5th and 6th class composed songs and raps in music class. Click some links below to listen to them! Cick above for Paddy, Craig and Talan. 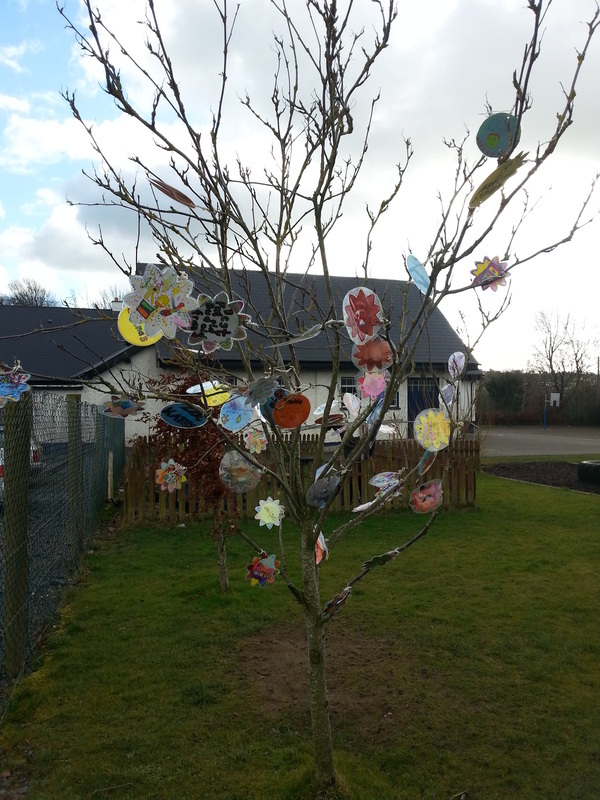 Small sample of what children wrote on their Friendship Tree. We are currently working with the ‘Stay Safe’ Programme in the school. Topics include friendship, bullying, touches, secrets / telling and strangers. Pupils, after class activities and discussions, complete worksheets at school or at home. These must be signed and returned to school. We encourage parents to discuss the topics being covered in class. This should include possible solutions to a range of ‘unsafe’ situations. This programme is designed to teach pupils personal safety skills in the context of their developing independence. 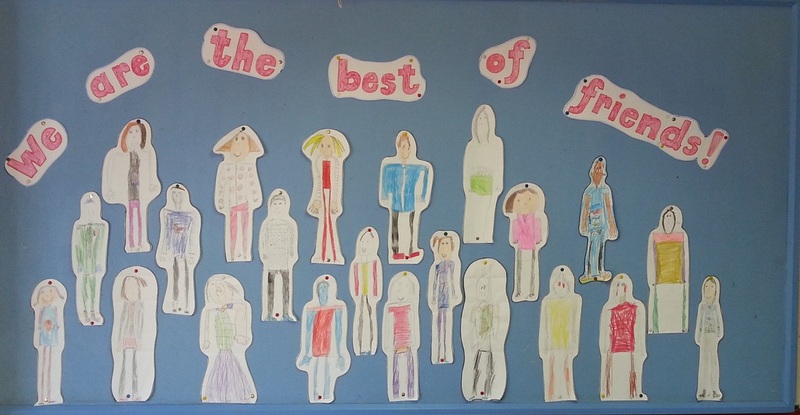 To promote positive friendships pupils are involved this term in exploring friendship through poetry, drama, art, discussion, circle time and games. Our friendship bench, funded by P.T.A., will also be added to the playground this month. Pupils in the senior room will also discuss ‘cyber bullying’ and we look forward to the return of a guest speaker Mr. Andrew Keegan, who will speak to the pupils about cyber bullying and internet safety. Great work from our Junior room.... You're off to a great start! At our recent assembly, pupils composed a declaration of friendship as seen below. Each pupil also picked a name from a hat to befriend someone from the school for a week. For someone to turn to. If you fall someone will pick you up. Everybody will be friends with you. Never give up on them. ﻿ S﻿omeone’s shoulder to cry on. ﻿ I﻿nclude everyone big or small.